Hooray to another lot of goodies arrving in my mailbox. 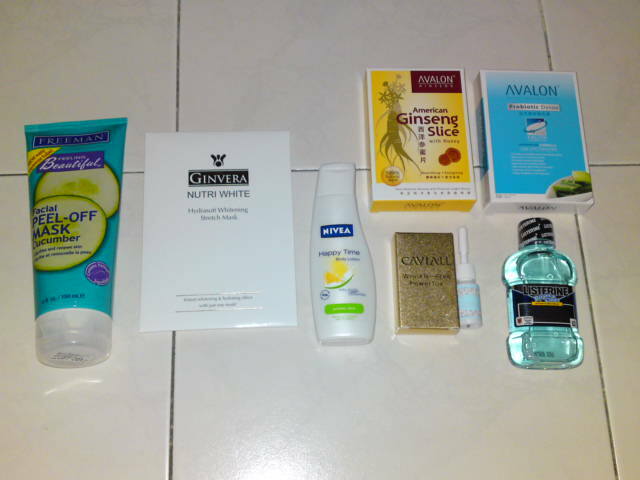 They are the free samples that I had checkout for myself quite some time ago. I had also received few of them last week, three more now. And I’m still waiting for few more. Hope to get my hands on them soon. Hey, take a look at all these lovely babes that I had recently checkout for myself from The Sample Store. Every single one of them is free. The only amount I paid was for postage. These are only a few of the hundred of samples available for checkout online. And the numbers is still increasing. How more wonderful can things be? If you are tempt to grab these lovely babes for yourself, please click and sign up under my referral HERE. I’m not being paid for it. But I’m able to gain more points to grab more samples. Which is like a double win situation for us both. Please help me and help yourself too. Hurray! I’ll be sure to pop by Sengkang to collect the Sample. Anyone interested in collecting them to try too? Free 10 pieces of new Huggies Dry Comfort! Hahahaz!!!!! Not sure why I received this in my email. Nevertheless, still putting this up to share with all my friend here. Do please share the link with anyone you know who might need the samples. Do take note of the terms and conditions. With just a mere S$28 for a year’s membership. 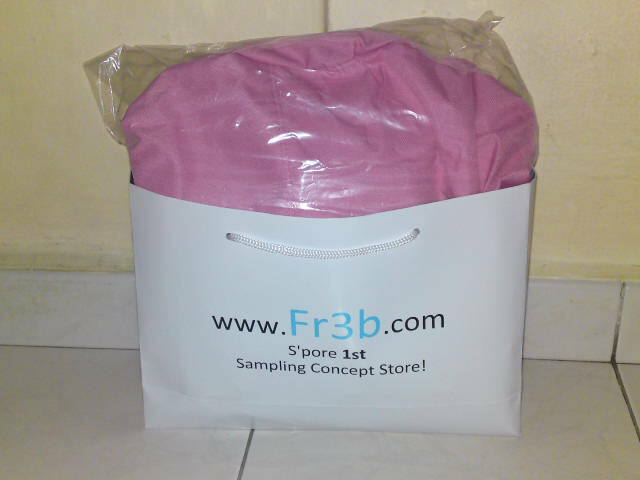 I am able to grab a maximum of 8 samples, mostly retail size from their concept store located at Stamford House. Upon signing up, one will be issued with a bonus of 16 points to be used to redeem for samples. 2 points will be deducted for each sample check out from the store and reimburse after you write a review for that particular item. More than 120 types of samples are available instore for redemption and the list is constantly increasing. 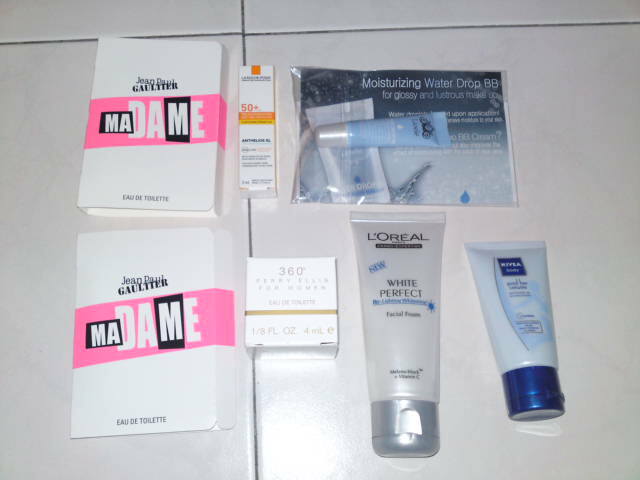 A goodie bag worth minimal S$50 will also be given to you free after you signed up. And also a S$160 spa voucher. 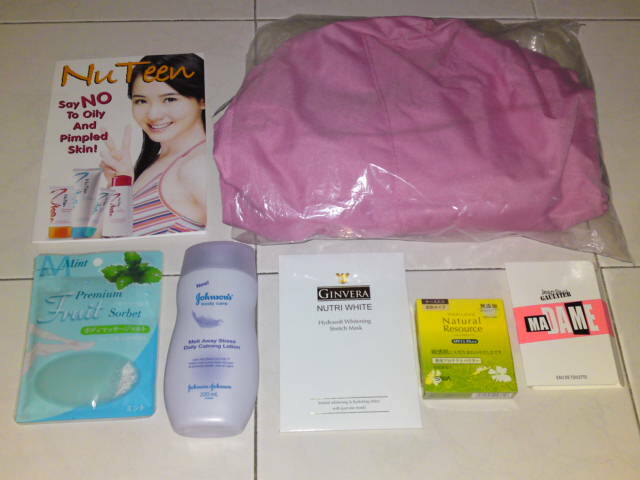 Here’s the content of my goodie bag. My very first grab from the concept store.